A must for carnival workers! 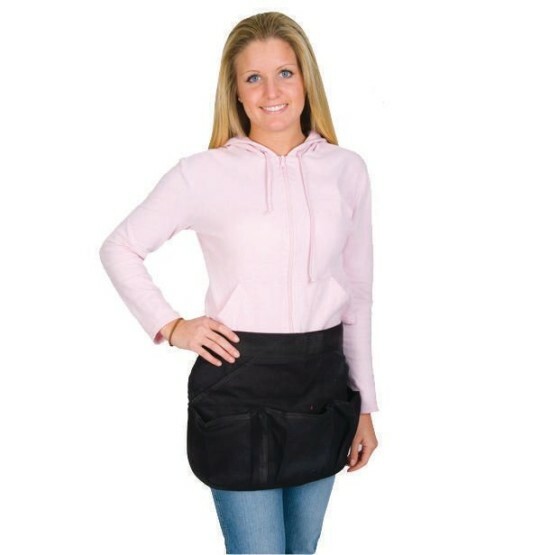 Carnival apron features 4 pockets: 3 expandable in the front and 1 larger pocket in the back that can be accessed from both sides. Made of durable, black material and reinforced with webbing material on edges. Apron measures approximately 19"W x 12-1/4"H with the apron tie straps running across the top and extending an additional 20" from the sides. Total width of apron with straps is 59". We use them to sell instants ripoffs at our bingo.